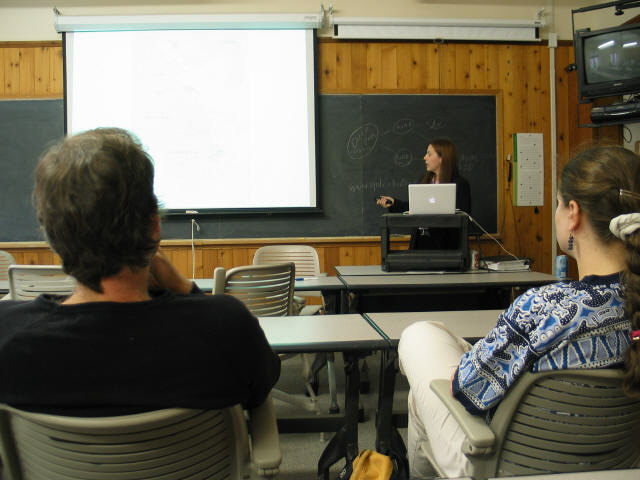 At Rutgers my teaching portfolio focuses on global environmental issues and policy. In fall 2017 I will be teaching a graduate course on Nature Society Theory. In fall 2016 I taught a similar graduate course for our certificate in the Human Dimensions of Environmental Change (HDEC501syllabusSpring16). In 2013 I taught HDEC 502 Political Ecology of Climate Change (FinalGradClimateSyllabus). In fall 2013 I co-taught HDEC 501 Nature-Society Theory with Dr. Heidi Hausermann (HUMAN ECOLOGY 501).These courses are open to any graduate student at Rutgers, or any graduate student in a university belonging to the Inter-University Doctoral Consortium (Columbia University, Princeton University, CUNY Graduate Center, Fordham University, Stony Brook University, New School University, New York University). I previously taught EPIB 315 International Environmental Policy (syllabus: FallIntlEnvPolicySyllabus) for the Environmental Policy, Institutions and Behavior (EPIB) major at the School of Environmental and Biological Sciences (SEBS). In spring 2017 I taught undergraduate classes in EPIB titled Climate Change Policy and Globalization, Environment, and Development. If you are interested in working with me as a graduate student, please let me know. You would need to apply to the Ph.D. or masters’ programs in one of the four graduate departments with which I am affiliated: the Department of Geography, the Department of Anthropology, the Department of Women’s & Gender Studies, or the Bloustein School of Public Policy. Eunsung Lee, Ph.D. awarded from Women and Gender Studies, 2014. Outsider reader.